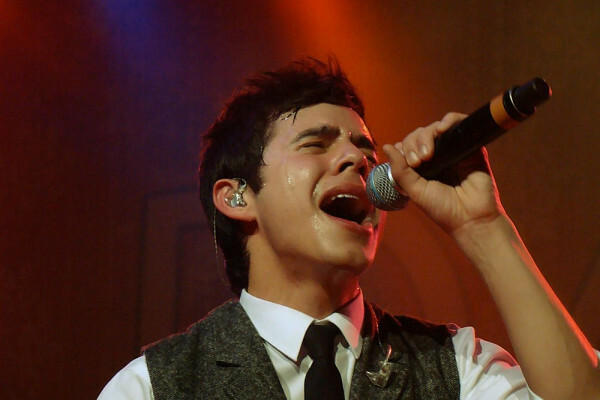 David Archuleta on Sale Now! With Christmas fast approaching (and David’s return getting closer!) many are out shopping after Thanksgiving when sales are at their best. I’m more of the online shopper and usually not until the week before lol. But while on twitter this tweet got my attention. I thought maybe other stores have David’s stuff on sale. So I checked several out and I was happy to see many stores do have various David merchandise on sale! 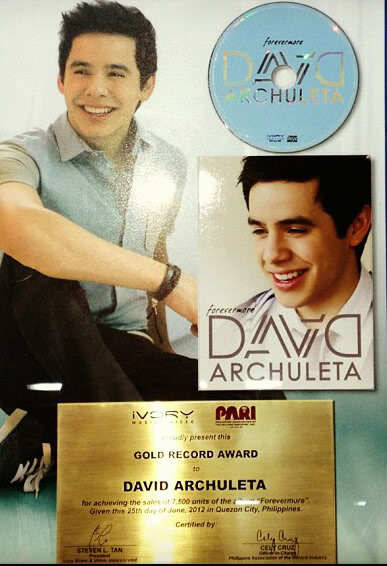 This makes it perfect for us to stock up with David’s music for gifting and spreading his voice. I’ve compiled a list with a couple of lowest priced items from each though there are more. Click on the store names and happy shopping! I know at times we need a silent night but not when David stuff goes on sale! Give the Voice that keeps on giving! Then let it snow, let it snow, let it snow! 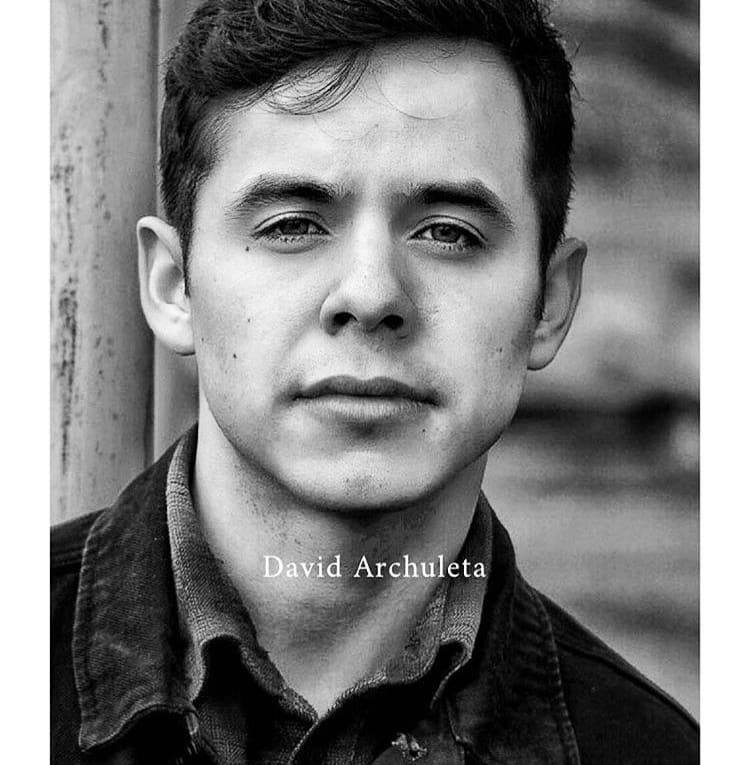 This entry was posted on Saturday, November 30, 2013 at 11:52 PM	and is filed under @DavidArchie, Appreciation, Archies, David Archuleta, fillers, music, Musical icon, The Voice. 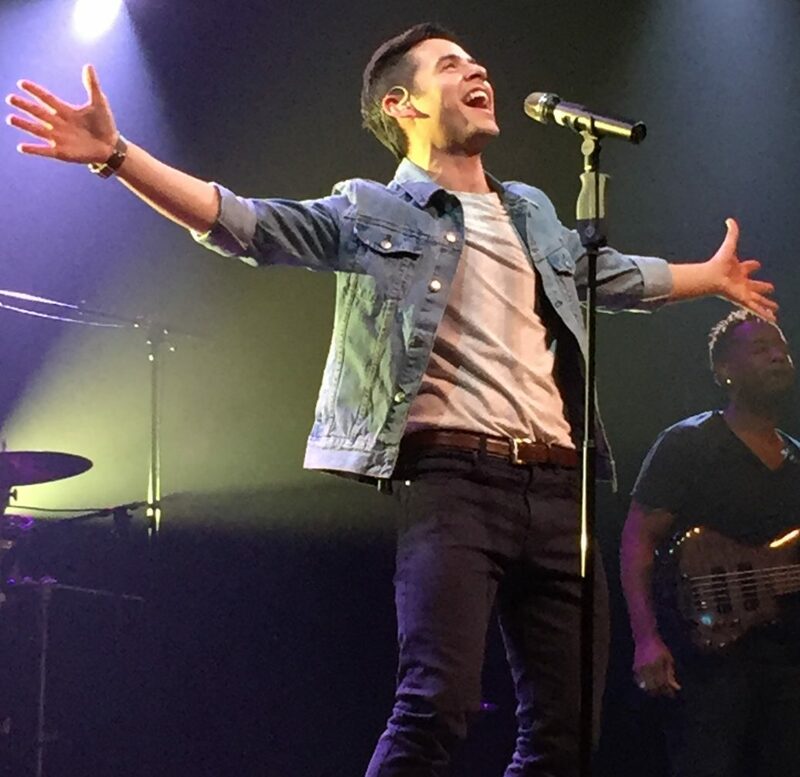 Tagged: #DA2014, Archuleta, Begin., Chords of Strength, Christmas from the Heart, David Archuleta, Forevermore, Glad Christmas Tidings, Gotta love him, missing him, Standing by him, the gift, the Voice, TOSOD. You can follow any responses to this entry through the RSS 2.0 feed. You can leave a response, or trackback from your own site. Thank you, djafan, for the shopping list 🙂 And, thank you for the video… I need to keep that one on replay 24/7. I’ll take one of each please? If I buy the hat, do I get the man underneath it? Great post and thanks for doing all the research. Love all the pictures and the poem is sweet! 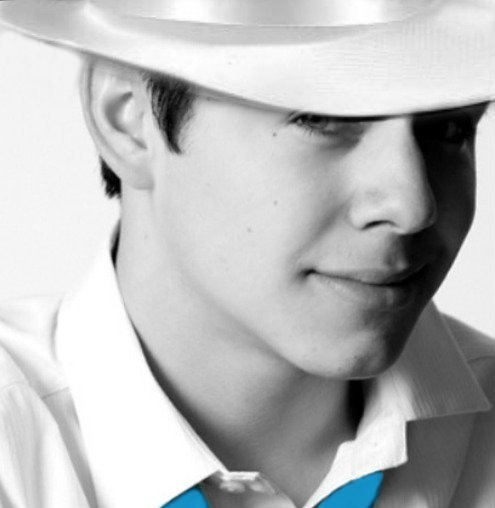 #DA2014…gettin closer now..I heard that he will have 100 days left on the 19th and that’s the date that he made his announcement 2 yrs ago! 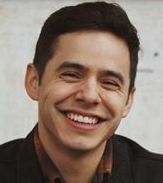 I was thinking about that song and David on Black Friday,haha He really needs to put that song on his next Christmas CD, love him singing that one. Nothing better than Davids music for a gift. Fun to put a cd in a little basket,or little gift bag with some baked cookies and a few candy treats,pretty tissue paper,a little ribbon around it (my neighbors loved it.) Did that for a few longtime neighbors, before we moved from our old neighborhood last December when we were so busy with moving! reading that made me so excited!! 🙂 can’t wait for the countdown from 100 to begin! eeeeeeeeeeeek! Woo Hoo!! Tawna, You’re welcome. Had fun seeing David on sale, he hasn’t been forgotten by the stores 🙂 And we need to help reminding them by buying! That video is soooo good and really should be played nationwide at all malls. Watched the news and saw how some got into physical altercations over stuff! Crazy! Abrra, You could sure see the growth from the first picture to the last and have to give props to Angelica for the sweet poem and her creative photoshopping skills. Sky, Ahh thank you. 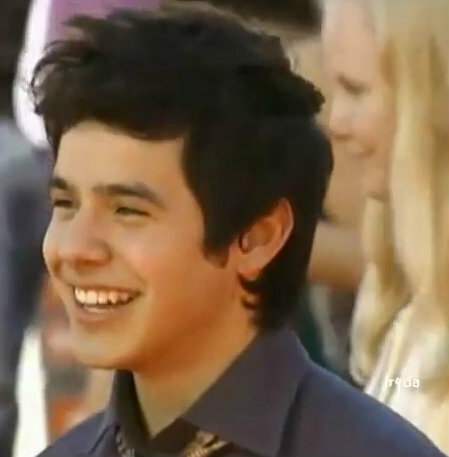 I have a one tracked mind when it comes to promo for David haha. Those are great gifting ideas! I have many neighbors and I think I will follow your example. And a very Happy Birthday to youuuuu! ♫♪Happy birthday to you, Sky!♪♫ Doesn’t sound like David, but the best I can do! 🙂 I love David sing Happy birthday! The best ever! Can’t wait til the countdown from 100 either! Think it’s going to go fast! Dja, glad that his fans are doing their best to keep him “out there”! His fans are the best! And for 2 yrs! KUDOS!!!! Hope you had a great birthday and wishing you your best year ever! Happy Birthday to Sky! Hope you are having a great day. Always glad when you show up here. Super happy you have a birthday because we all get to see David sing his VIP birthday song to one, two, three, four, five, six people. Love to watch him count them. So nice to see Abrra baked you a tart, Angelica sent you a card and Jan sang for you. This is a lovely place for a party. Dja, great shopping list. I’ve been looking for a CFTH album all week, but have not found one. I only have one left that was not signed by David, and those are off limits. What if it got stuck in the machine or something? Nope, cannot play those. Tawna, The Christmas Song performed at Irving Plaza NY just came up on my play list. That is the one where David says, “Mark” in such a way we all wish we were named Mark. Sigh. No matter where your play list happens to be, it is always a good place. 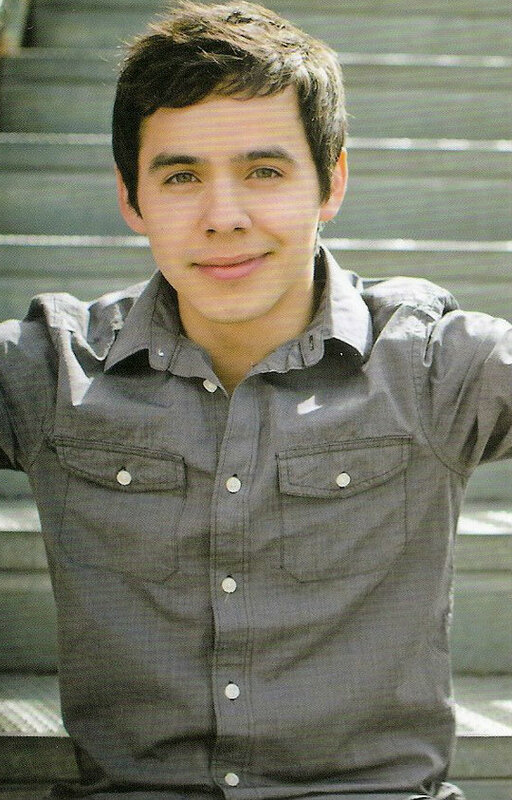 Jan, I could not believe you remembered the exact date David made his announcement, but I looked up on my wall and there is a ticket that says David Archuleta My Kind of Christmas Tour Monday December 19, 2011. Yep. Your memory is perfect. Thanks for compiling all of David’s merch into one neat package here. The video fits perfectly with the theme! I was pleasantly shocked to see that there are only three months left on the sidebar. I had to do a double take! Have we really come this far? I agree with you. The piece of cake looks truly scrumptious. It’s a raspberry creme cake and is an actual slice from Sky’s birthday cake!!!! She sent me the pic on text today! Glad the potato pancakes were good! They not only go well with apple sauce but with sour cream too! Thanks for the birthday wishes.and the partay! aww love you guys. Jan and MT and David, singing..
and my soon to be new desktop picture.. Angelica, love it.. I had a lovely birthday today. My sweet daughter took me to breakfast at my favorite place, after surprising me with a birthday basket full of little fun goodies and a dozen pink roses,and melted my heart with a beautiful birthday card♥ then took me out to breakfast! yum! ” The Christmas Song performed at Irving Plaza NY just came up on my play list. That is the one where David says, “Mark” in such a way we all wish we were named Mark.” HAHAHA! Dayzee, Yep my signed cd’s are not leaving my house 🙂 Now you have many options to purchase! Bebe, Didn’t really know the song before David and he does a perfect job with it. Love this tweet from a One Directioner fan. MMMMM rasberry creme cake and cocoanut tart! Very good! All my autographed stuff doesn’t go anywhere either. I do have one cd that had already been played before he signed it at the MOTAB book signing. But I don’t play it anymore. All my stuff isn’t together tho. I need to get organized and put it all together. dja #20… another fan in the making?!! David appears on itunes top 1000 list! 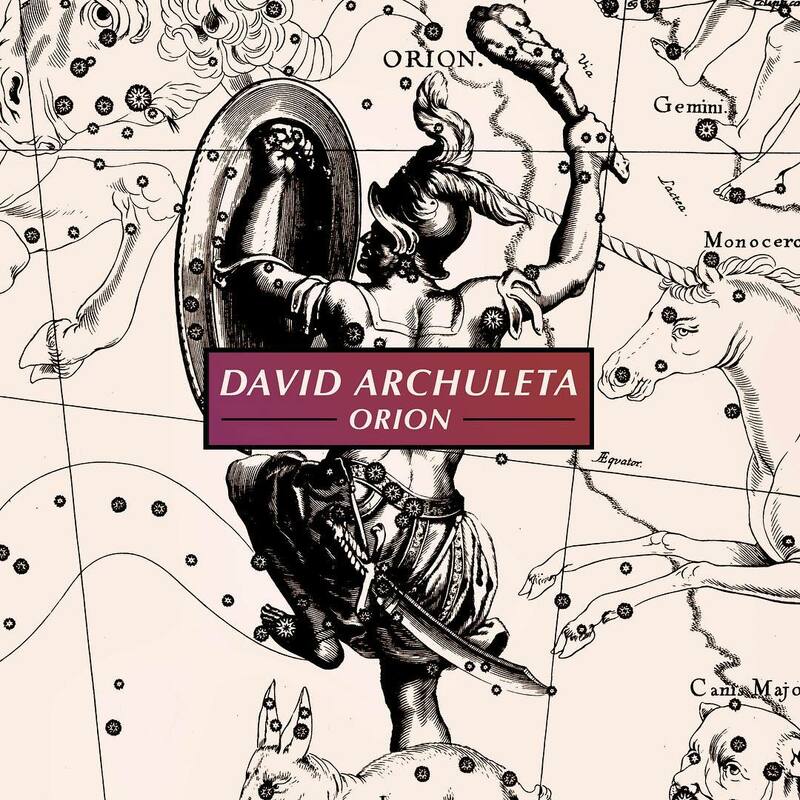 Djafan, thanks for the info on ordering David CD’s. I just ordered 5 more CFTH since I gave mine away and needed another one. Also have more to give away this Christmas! 🙂 Loving “This Christmas” from Anaheim, Oh what a concert! Miss you! Haven’t posted forever, but I want you all to know I’m still around and waiting patiently for DA to get his glorious self home and give us a concert!!! My pennies are adding up nicely so I can go wherever that first concert is going to be held (I’m thinking Utah will be the place, but I could be so wrong). I want to thank all the admins and commenters here at The Voice for keeping the home fires burning. You have done a marvelous job! 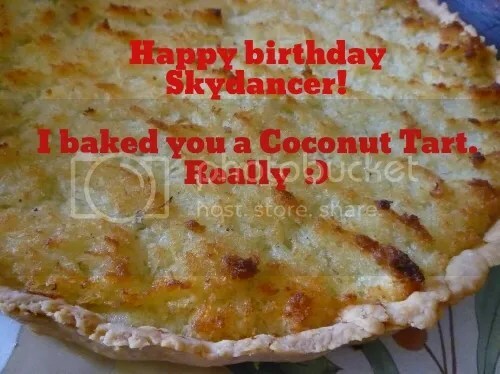 Happy Birthday Skydancer! December birthdays are the best. Mines coming up too soon, but I’m looking forward to the 28th when we will be celebrating Davids! Hope you had a wonderful time. I am so happy when someone like you takes the time to comment. I know you are a devoted fan and seeing you come back home to us is so great. Thank you for remaining loyal to David. I know there are so many more just like you, who love his voice and will be back when he returns. As far as keeping the home fires burning— I can speak for all 4 admins and say “we don’t know how we couldn’t keep the site going.” He is so worth every second spent on his behalf. ♪ I’ve got a lovely bunch of coconuts! ♫ Bought them today and now just gotta figure out how to get it into a pie. They didn’t come with an instruction manual so I googled it. Apparently, there are 14 steps. First, I shook them and listened for the sound of sloshing water. I then inspected and sniffed their bottom to make sure they weren’t moldy. Next I have to pull off the wispy strands of brown hair from the exterior. Then, I have to locate its two eyes to find the one eye single to its glory and stab it with a drill bit. Not just any drill bit, but one that fits this particular coconut’s eye. Then, twist the drill bit by hand through the hard exterior shell and the interior meat to the hollow center. Drain and sniff (again?) the water. If it’s gone sour, remove head from toilet, throw away coconut and return to store for new one. Repeat steps above. If smell does not cause retching, I can proceed with baking the coconut in the oven at 400 degrees for 20 minutes. (*Important safety tip – don’t forget to drain liquid from coconut before baking, or it will explode, hurtling cannon ball-like shrapnel throughout your now defunct oven.) Remove from oven after 20 minutes or until it splits open and let cool completely. The trick is to get it to split without detonating, I guess. Then I have to wrap the coconut in a towel and beat on it vigorously with a mallet. I thought it was already split? Oh well. Next, it’s a simple matter of prying the hard flesh from the shell, then using a vegetable peeler to scrape off the brown skin, rinsing, drying and grating the coconut one small piece at a time. At this point, I am ready to gather my ingredients and bake my pie. Piece of cake. Which I think I’ll have instead. jk. I can do this! Sweetonda! Good to see you again! Angelica, enjoy that coconut! After going thru all of that you won’t want to eat the tart! Maybe you should get in touch with fenfan… surely there’s an easier way to get fresh coconut! 😉 Put a ‘lazy’ label on me, but I’m all for cutting open a bag of coconut and dumping it into a measuring cup. You’ll have to be sure and share a picture of your finished product. I baked a pumpkin cake in the crockpot today. It was dang good (quote from 4-year old grandson). It was very moist and dense. Next time I’ll put nuts in it though. dja #24 video….. 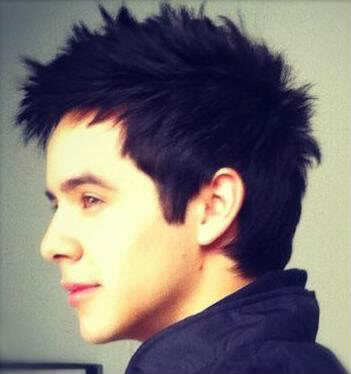 I looove soulful David! He had me gasping for air thru this song in SLC!! David’s YouTube channel is back up YAY!! haha Tawna,you’re singin’ my song. Pass me the scissors!. Sweetonda ,thanks for the birthday wishes♥ so good to see you, and Happy upcoming Birthday to you too♥ yay! Ah ,never too early for a little “This Christmas”,think I will take my coffee into the vortex and get lost for awhile…..
Sweetonda! So nice to see you! And I miss you! I’m glad the sale info worked for you. I know like Abrra says that there are many many waiting for the D day and will be back in full force. I hope to see you at the Welcome Back concert, probably in Utah! 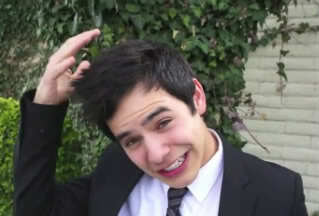 And David’s youtube is back!!!!!!!!!! Jans, haha he sounds perfect everywhere. We’re so lucky when we get to witness it live. Tawna, gasping for sure. It’s like I forget to breath just watching and hearing him. I was in shock at first to see Mr. Suave bring it lol. Cake and pie in a crockpot? I need to check that out. Here is the crockpot cake I made…. I think I’ll add some toasted pecans. We have some major snow happening in Utah today…. sure is pretty, but we have a concert in Salt Lake City (Abravanel Hall) tonight so I hope it slows down so our travels will be less scary. Skydancer — the happiest of birthdays to you, you dear person!! I may be late with this wish, yet it comes from my heart: Every blessing to you and yours! All the recipes sound great. Soooo many ways to eat sweets! Anglica.. It sounds to me like you have found the way to keep in shape during the holidays. Any caloric count for all the coconut prepping activities? You should be able to eat the whole pie by your self. And… I want a picture of that pie, please? YUM! That’s my kind of cake. No frosting to make it too sweet. I will make that in the near future. Yes bluesky, it’s the MCO concert… my daughter-in-law sings in it and her sister is one of the conductors. I’m excited to hear it. We are sitting orch. L C, row 14 (wherever that is)…. I just know where rows 2 and 6 are (been there 🙂 ) Would love to see you! 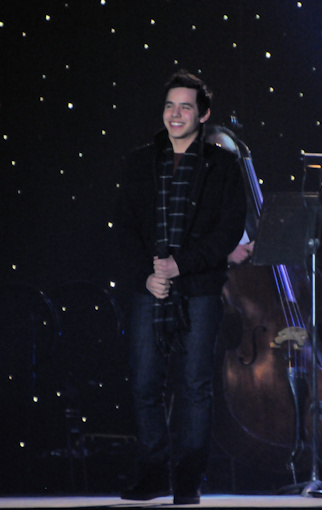 I need to buy the David Archuleta Christmas album. I’m pretty sure that was produced in heaven or something. It’s great. 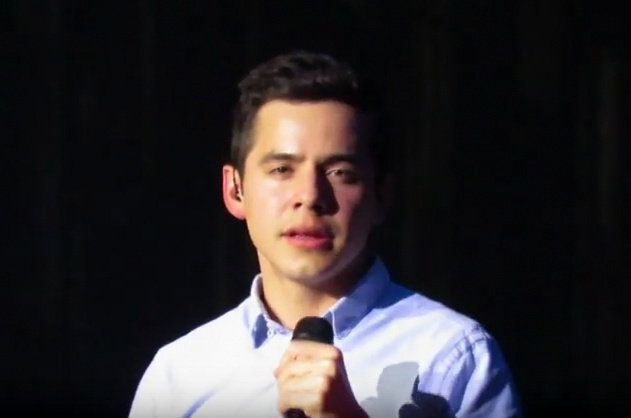 ELDER ARCHULETA (@DavidArchie) – OH HOLY NIGHT (español) Feliz Navidad! 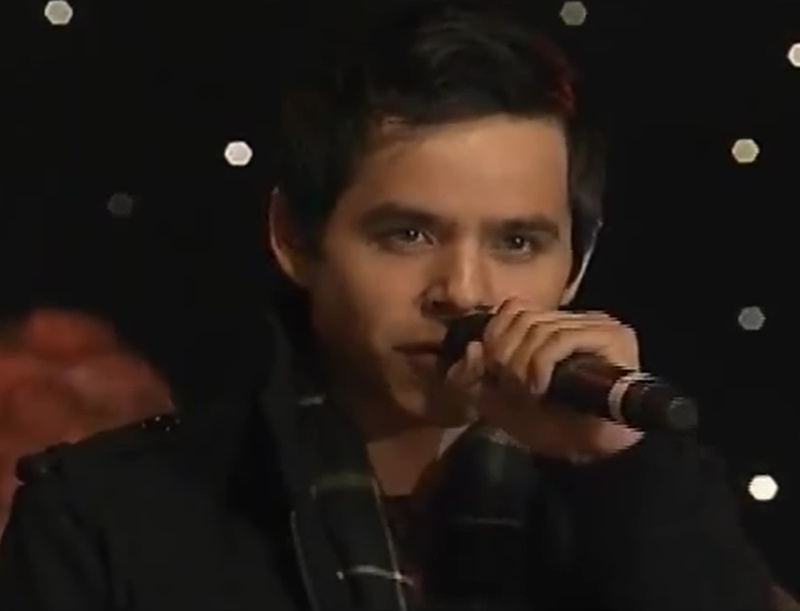 Just heard First Noel by @Davidarchie in a Christmas Festival in the Boulevard of my city!!! #Malecon2000 ❤ <<<ECUADOR! 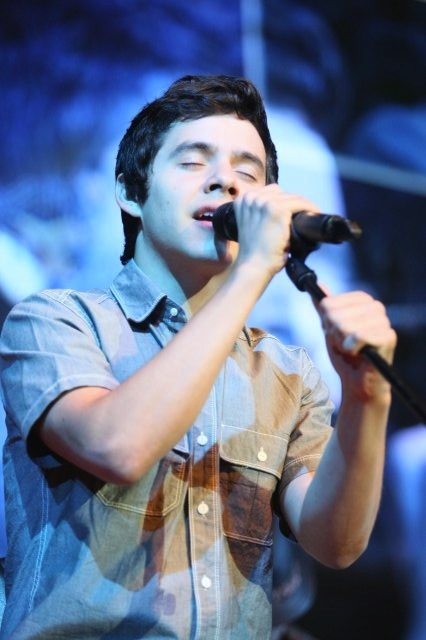 I really love @DavidArchie's Riu Riu Chiu. The low registers + spanish accent is deadly! 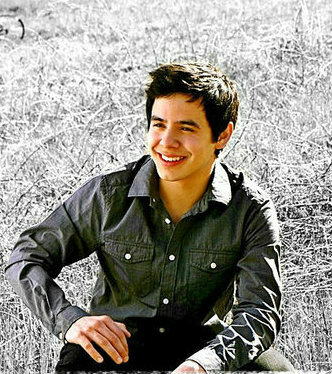 Still in love with @DavidArchie. Nothing's changed. So happy it's December cause I'm currently blasting Riu Riu Chiu. Have a great time and that is so great that your family gets to be a part of all of this! My very best to you! Been so busy with family….coming up for some air to say that It’s Tuesday! It’s Nandito Ako night again! Found an article about the NA miniseries from back in February 2012.How could I have missed this one? “He might as well be called a Pinoy idol. 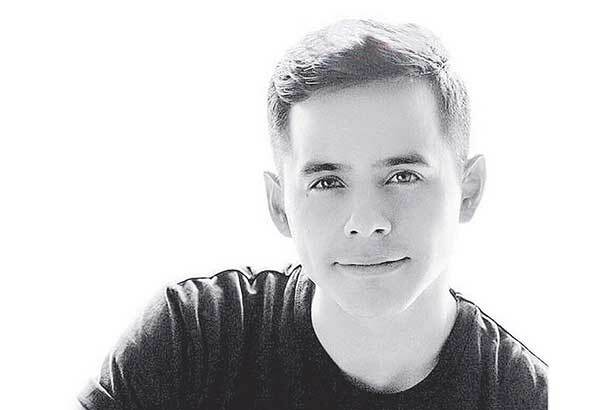 After 15 days of continuous shooting for TV5′s much-awaited mini-serye, “Nandito Ako,” international singing star David Archuleta faced media members one last time on Saturday evening before he finally left the country early Sunday morning to go to Singapore for another engagement, and back to the US to prepare for his two-year missionary work. Despite fatigue and sore throat setting in as a result of his hectic schedule that included finishing his scenes for the mini-serye, TV guestings, and a grand fans day on Friday night, the 21-year-old singer showed that he was a pro and a really nice guy by saying yes to a request to sing the mini-serye’s theme song, “Nandito Ako”…..
Bluesky…. we are going to brave it. We are coming from Utah County… scary. If it weren’t for the fact that my DIL is part of it, we would stay home also. Pray for us in our travels. One of my favorite shows is “The Voice” on NBC on Monday and Tuesday nights. When Blake Shelton sang “Silver Bells” last night, my mind wandered and I thought how awesome David would sound singing that song. Maybe on CFTH Volume 2. I still think that CFTH is Grammy-worthy. I said it when it was released and I’ll say it again now. 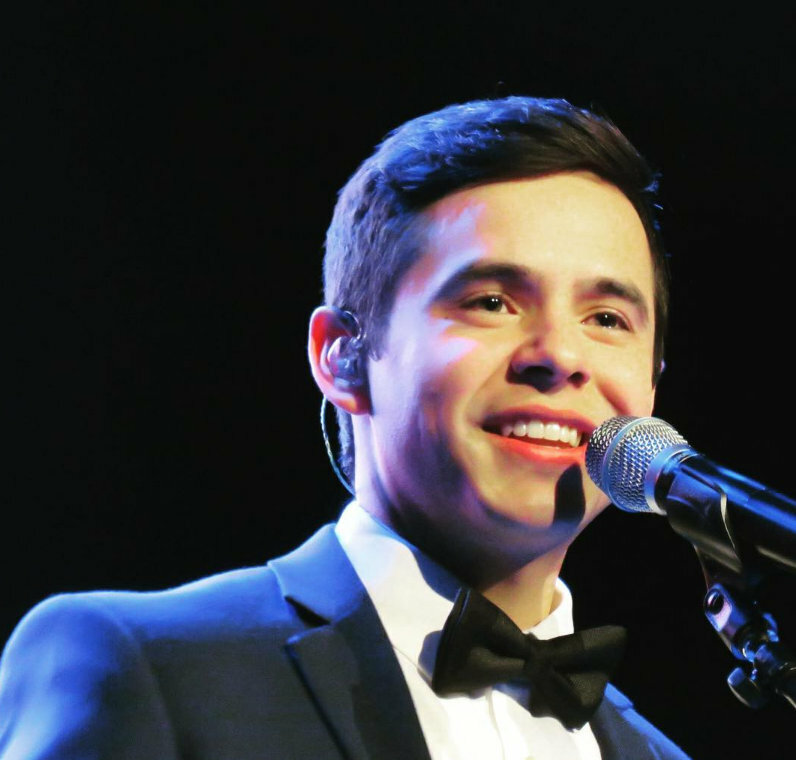 David’s voice is other-worldly; and filled with compassion and humility. 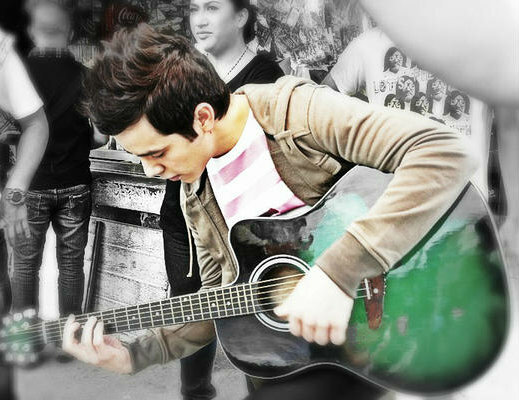 Plus, he has the ability to put his heart and soul into every song and dares to give it all up for the sake of the song. 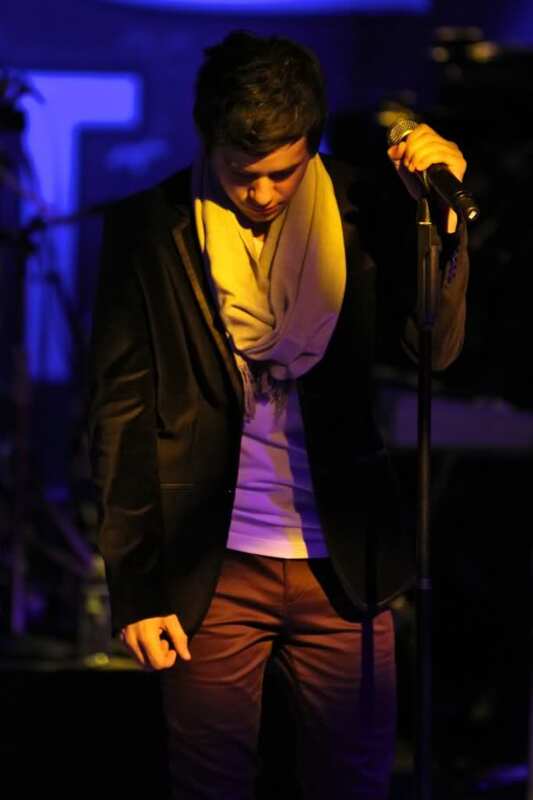 He reaches a place in me that no other singer has ever come near. Thanks for the videos you posted from CFTH, dja. Here are 2 more of my favorites. I really want to hear how that coconut thing turns out. haha Have fun and good luck! Thanks for the videos. Those are always a joy to listen to. More David love on twitter from not so familiar tweeters. Signs of things to come. Reading that NA review brought a lump to my throat and a twinge in my heart. David is so dang good in everything he does. He, so un-assumingly, touches so many people. I’m really missing him. The MCO performance last night was sooo good. Have I mentioned that I love Abravanel Hall? I wish you could have been there, but I completely understand the weather thing. It took us 2 hours to travel from Springville. Going home wasn’t as bad. But, it was worth it to see my grandkids get so excited to see their mom sing and their aunt do her conducting. There’s another concert the end of May, so maybe you can make it to that one. Tawna21, I am so very glad that you made it there and back in safety. When I am my normal self (hey.. who you calling “normal”?) I will risk life and limb for music. I will definitely count on the late May date. So great that your family has this connection to music. Such a blessing! May I just get something off my chest? I was sitting here watching tv, went On Demand music. Saw the Holiday Hits, checked it out and it is woefully short of talent. Meaning David. I wish he’d done a video for one of his Christmas songs, I bet he’d be there. It’s surprising who IS there. Numerous times. Is all I’m saying. He deserves to be, more than anyone. Finally found CFTH cd’s at Deseret Book and can breathe easier now. Always scary getting down to the last working copy. Enjoying David’s Christmas music here. Especially This Christmas/Anaheim. He seems so energetic there. Makes me feel like I should get up and do something. Not anything with real live coconuts though. Eeek! How about that Mannheim Steamroller Christmas show with the ice skating? Is Above the Northern Lights available for watching? I heard someone (not David) sing that song and the difference was amazing. Another song only David should be allowed to perform. Here you go, Dayzee my love. Awwww thank you Angelica. That is just so doggone beautiful. And that final “let your dreams take fli-i-i-i-i-ight” just does me in. I have mp3’s of his performances at Pandora’s Unforgetable Moments in the Candy Jar. here is the link to the folder. Dayzee, any other voice on Northern Lights just won’t do, nope. 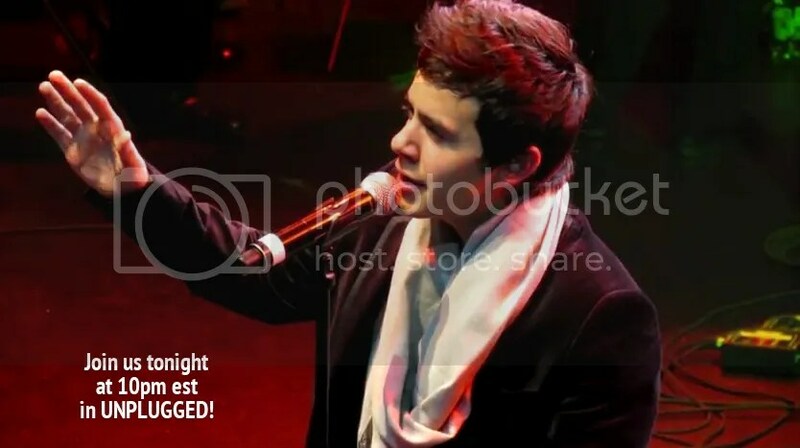 [19 hari menjelang Hari Natal] Now Playing= O Holy Night – David Archuleta |#SongSpirit bersama Donna Puspita. Selamat menyambut Hari Natal! 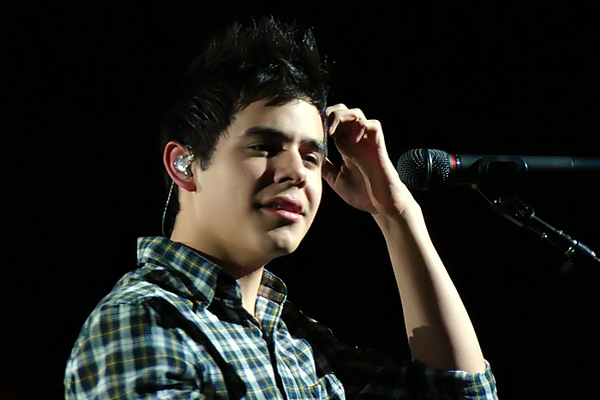 djafan#52 I’m blown away by all the countries out there that play David’s music! What is wrong with this country we live in?? #27 Angelica – sounds like you have set yourself an herculean task. When I want fresh coconut I just go to the fruit stall in the market near my house and ask for 2 dollars’ worth of it with the skin off and the coconut is scraped and grated in a minute! When opening your coconuts, please do not throw away the water. It is a delicious, refreshing drink on its own. Stick a straw in and drink! We don’t bake the coconut before grating. If you manage to get the hard shell off, just scrap off the brown skin and start grating. If you have difficulty scraping the brown skin off, you can leave it on. You will see brown bits in the grated coconut and the texture may be a bit gritty but the tart will still be delicious. I have not tried it before but maybe you could use a food processor to grate the coconut? Or would it be too hard on the blades? Once you have grated the coconut you can also squeeze it for milk to make curry and all sorts of savoury dishes and desserts. When squeezing for milk there is no need to scrap the skin. BTW I was listening to Top of the Pops on the BBC this morning and found that the cover of Somewhere Only We Know by Lily Allen had been number 1 for the past 3 weeks and has now gone down to the 4th spot. 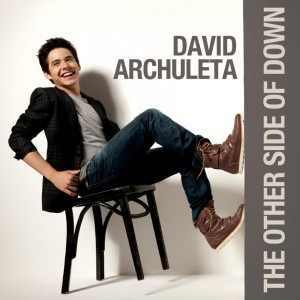 So I wondered, why couldn’t David’s version have topped the charts when it sounds so much better? Bebe, we have both been cooking tonight and isn’t the scent of baking turkey divine? Bon appetit! Angelica! Yay!, you got it! That tart looks delicious. It makes me want to bake another one. Now that you are a “crackerjack coconut cracker” you must bake a tart with fresh coconut. I guarantee it will be even more delicious and you will super love it. Yay!! Angelica!!! Good job on the tart… looks yummy! Tawna, do you know how much I LOVE that song? So for the first time this Christmas and the 4th time since this site has been in existence…. I have the ringtone you asked for. I do not have your email. The one I tried using bounced back twice. 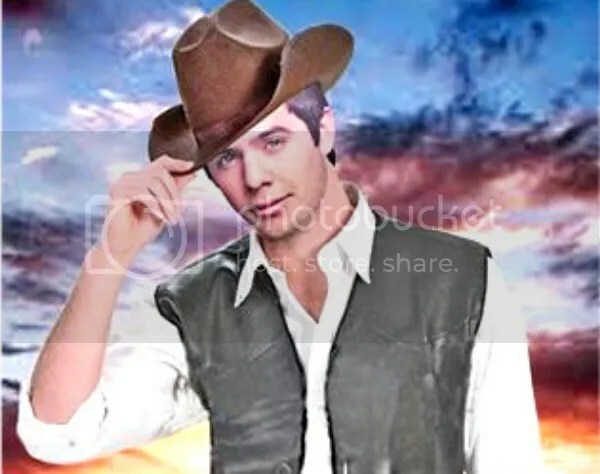 It’s the frontier.com email. Please send me an email so I can send the ringtone?